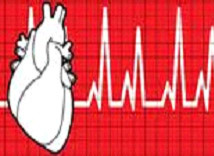 Heart Risk Calculator is an easy to use and very well designed application that uses the latest version of the Framingham Risk Score. It excludes diabetes, as diabetes is considered to be a CAD (Heart Disease) Risk Equivalent, having the same 10-year risk as individuals with prior CAD. Q. 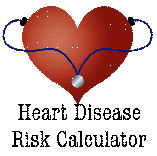 What are the Parameters important for calculating Heart Disease Risk ? Q. Who are Higher Risk Category Patients? Obesity (BMI=30 kg/m2), especially central obesity in men with waists >102 cm and in women >88 cm in Caucasians (>90 cm for men and >80 cm for women in Asians including Indians). Obesity increases risk by a factor of 1.3. Serum triglyceride of >150mg% increases CVD risk by 1.3 times. A low HDL cholesterol (<40mg% in men and <50mg% in women) also increases risk. If any combination of Prediabetes, South Asian origin, Adverse family history or raised serum triglyceride occurs whichever of these factors in the combination gives the highest risk. Left ventricular hypertrophy (LVH) increases risk too much. It excludes diabetes, as diabetes is considered to be a CAD Risk Equivalent, having the same 10-year risk as individuals with prior CAD.